How do I use a code at checkout? Why can't I use my code at checkout? How do I switch to TuneCore from another distributor? How do I submit a copyright claim? Why was my music removed from all stores I distributed to? 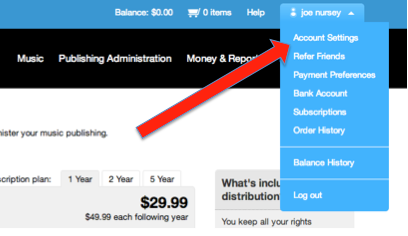 How do I change my TuneCore account profile or contact information? How do I cancel a renewal on my music?